If you are standing up reading this, you had better sit down. 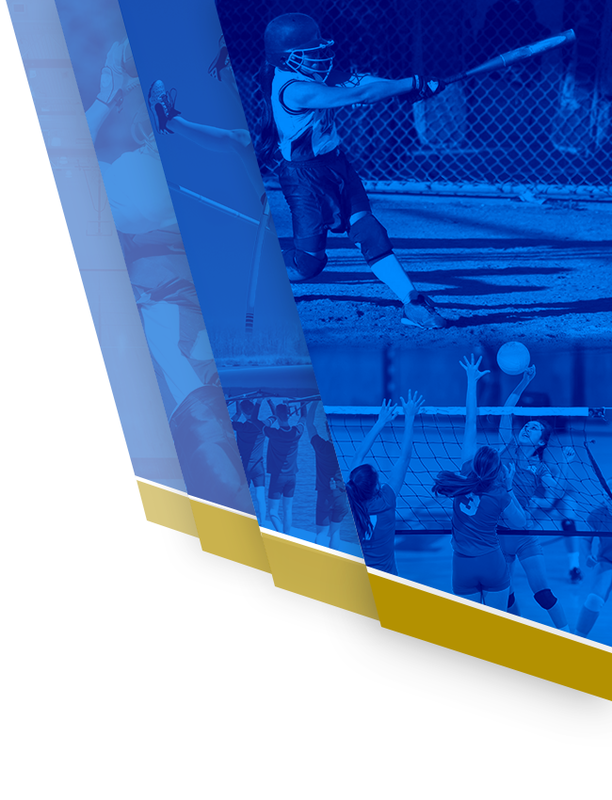 We begin with Anderson’s new head coach who received 14-6A Coach of the Year award. The team went 20-14 overall, 8-2 in district earning co-District champions with Austin Bowie. 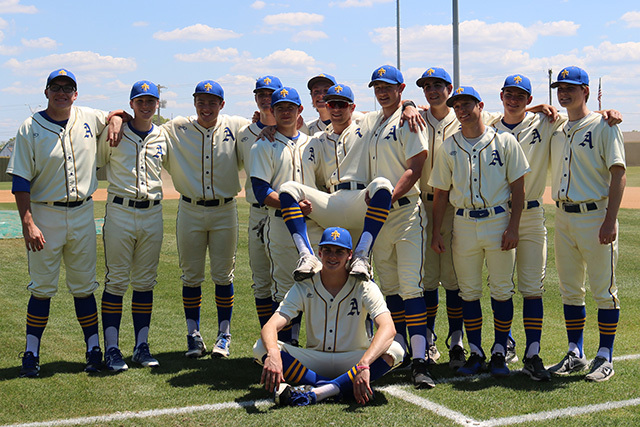 With redistricting, 2019 Trojans play Austin Maroon, Austin Bowie, Austin Akins, Lake Travis, Westlake, Del Valle, Hays and Lehman for district. Not a new group for Anderson. What is new is post-district play is to the south. 4-year letter man, Academic All State, Academic All District, 1st team All District Catcher, THSBCA Austin Area All Star team. Jake will be remembered for guarding that home plate in the Area championship resulting in ‘crowds going wild’ and extra innings. Jake attends Texas A&M in the fall to study civil engineering and architecture. 3-year letter man, Academic All State, Academic All District, 1st team All District Pitcher, recipient of the Chris Ashmos scholarship. 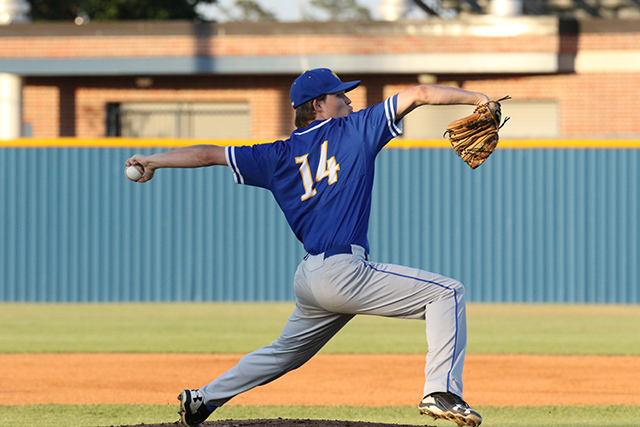 Ben will be remembered for his cool presence on the mound as he kept the hot bats of Klein in check during the Area championship. Ben attends Stanford University in the fall studying managerial science and engineering. 1-year letter man, Academic All District, 1st team All District Outfield. Gabe will be a Trojan again next year. 3-year letter man, Academic All State, Academic All District, 2nd team All District Pitcher, THSBCA Austin Area All Star team. 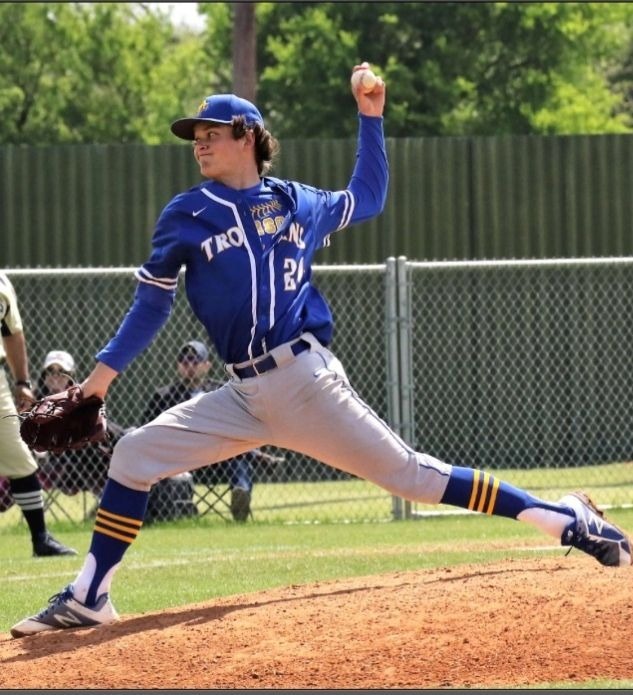 Ben will be remembered for hushing the home crowd at Klein as he managed their batters with ease during the first game of the Area championships. Ben pitches for University of Richmond in Virginia next year. 3-year letter man, Academic All District, 2nd team All District First Base, 2017-2018 Anderson Trojan Team Athlete of the Year. Andrew will be remembered for his long reach on defense. Andrew attends Texas A&M in the fall studying engineering and biology. 2-year letter man, Academic All District, 2nd team All District outfield. Andre is a returning Trojan. 2-year letter man, Academic All State, Academic All District, Honorable Mention District Team. Blankenship family’s favorite Anderson memory is listening to the 2017 postseason radio broadcast’s commentary – “hearing the boys’ names on the radio” – while away at a family wedding. Drew will always think fondly of Mrs Rugeley giving the players their own personal pizza on the way home after postseason games. 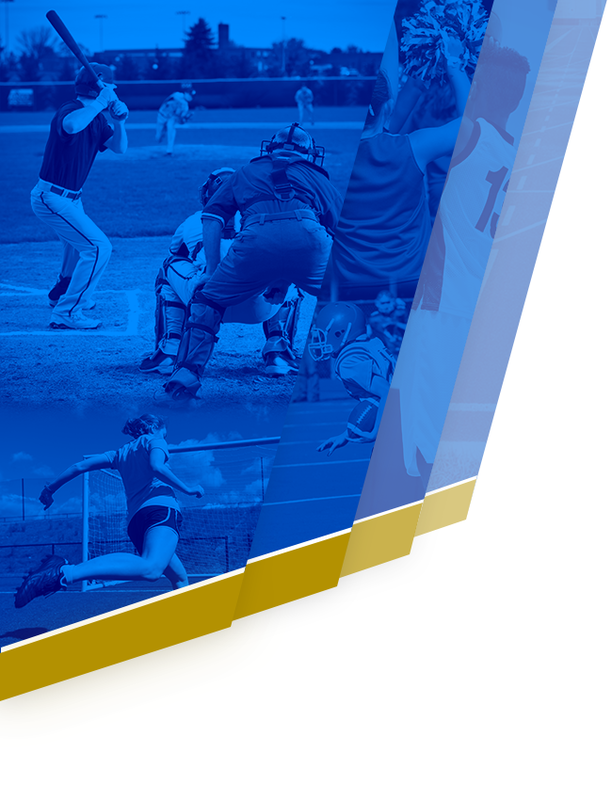 Drew attends Texas Tech in the fall studying sports management. 3-year letterman, Academic All State, Academic All District, Honorable Mention District Team. Jack attends University of Texas and is undeclared. 3-year letterman, Academic All District, Honorable Mention District Team. For the Trojans, Kyle will be remembered for his utility as a catcher, third basemen, left fielder, big bat and speed on the bases. 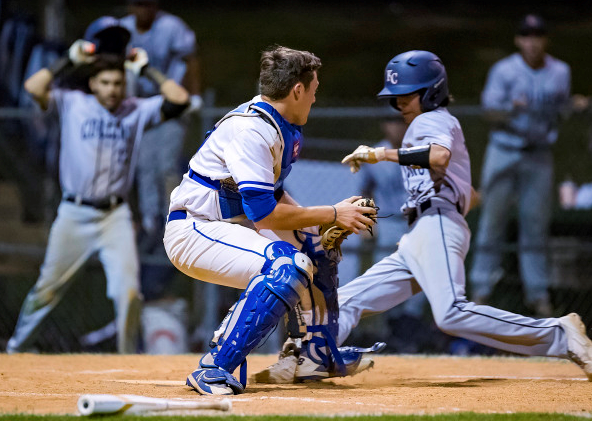 A favorite memory of Kyle in a Trojan uniform was at Hendrickson when he launched one over the left field fence and folks from India watching the game stood up screaming, “That’s what we came for!” Kyle will be taking his bat and glove to Coastal Bend College. Go Cougars! 2-year letterman, Honorable Mention District Team. Peyton will be taking his big left arm to the University of the Incarnate Word in San Antonio next year. Go Cardinals! 1-year letterman, Academic All State, Academic All District. The victory over Lake Travis during district play … love putting the hurt on the Cavaliers in honor of the football team … will always be the favorite memory of the Abernathy family. Trojan baseball will get a chance to do that again next year. Robert will be attending Texas A&M next year to study managerial communications. 1-year letterman, Academic All State, Academic All District. Who can forget Lisa Ard during Prather’s grueling triangles? Go Adam! Kidding aside, Adam valued the pregame camaraderie with a group of great guys. Adam will be attending University of Texas at Austin to study biomedical engineering and to change the world. 1-year letterman, Academic All State, Academic All District. 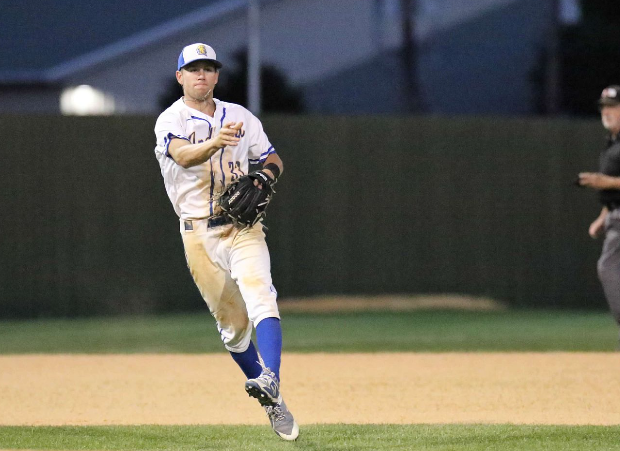 Without Elliott’s game changing standup triple to right field during bi-district against Hendrickson, where would the Trojans be? Elliott, you are our hero! Elliott will be attending Texas A&M keeping everyone in his dorm in line as an RA . Elliott plans to study construction science. 2-year letterman, Academic All State. Academic All District. Who couldn’t love the excitement of 2017 going to the Regional Quarter finals? That is Ross’ favorite Anderson baseball memory. Ross will attend Texas A&M this fall studying construction science and architecture. 1-year letterman, Academic All District. “Patty!” Our absolute favorite memory of Patrick was this year when coach put him in to bat. “Who me?” “Yes, you.” Patrick, the PO, smacks a single and proceeds to steal second. The dugout went wild. We look forward to hearing about Patrick’s future plans. 1-year letterman, Academic All District. Next year, Dylan attends University of California in San Diego where he is required to take surfing lessons. He will be majoring in pharmacological chemistry with the dream of curing biological ills of our modern world. The juniors are ready to fill the open spots! They were big contributors up the middle of the field this season. 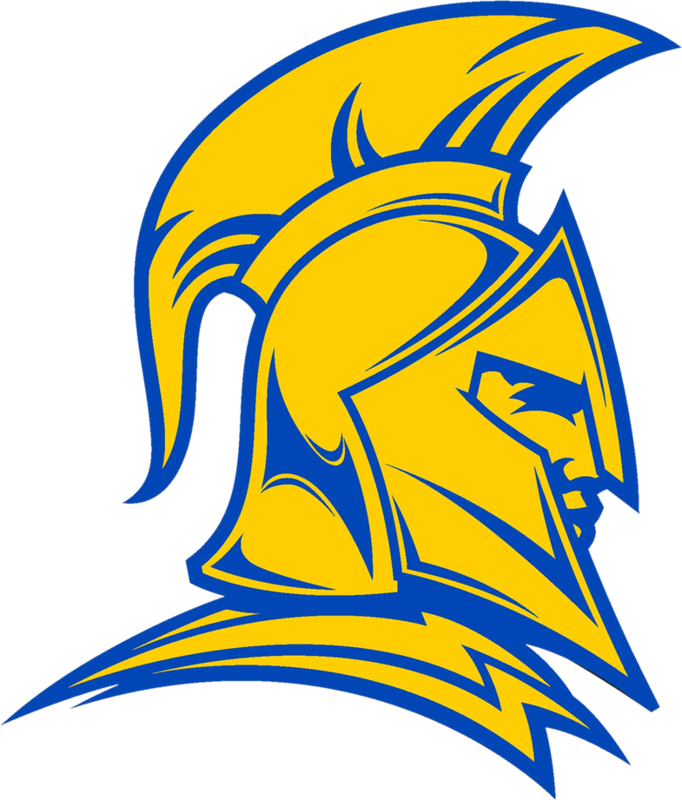 We have high hopes they will continue Anderson Trojan Baseball’s strong academic and athletic tradition. Thank you for the fun times, the friendships, the hope of a bright future. We wish you all the best!